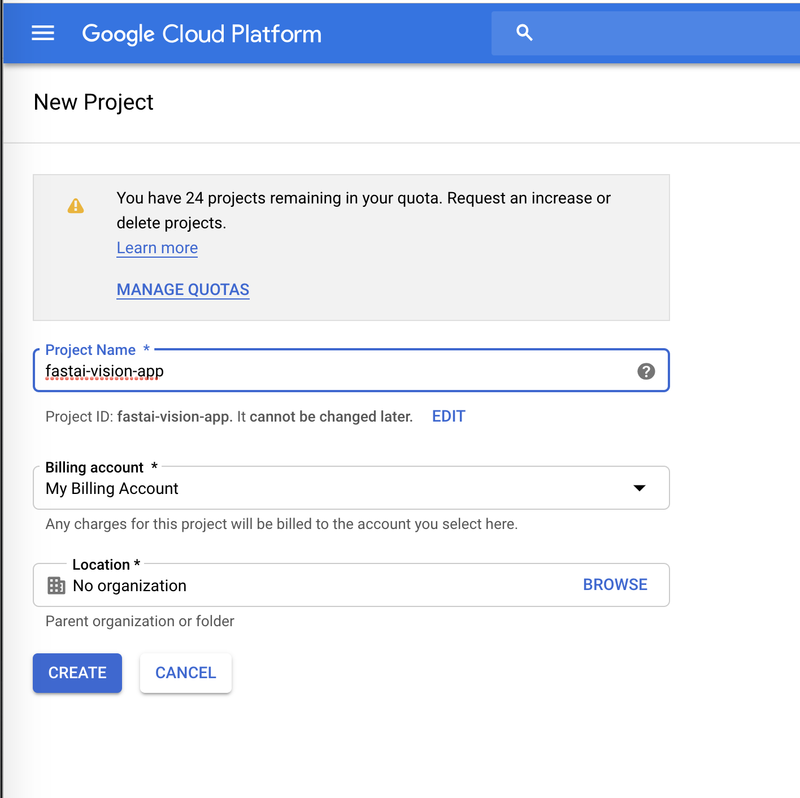 This is a quick guide to deploy your trained models using the Google App Engine Custom runtimes. This guide comes with a starter app deploying Jeremy’s Bear Image Classification model form Lesson 2. 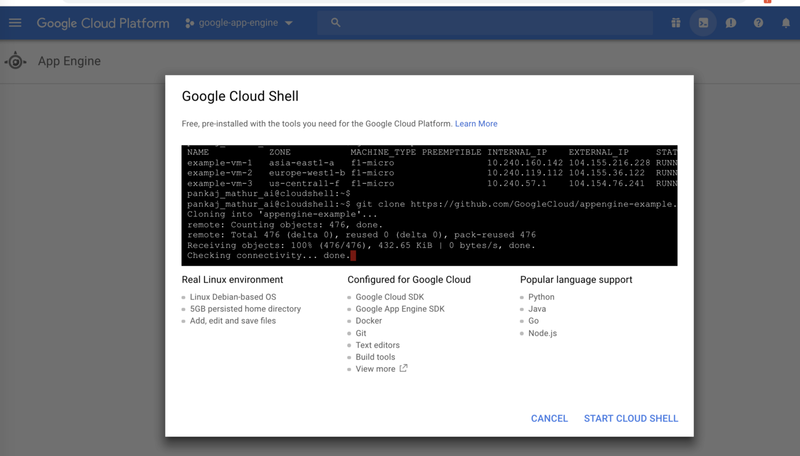 After creating a new project, you will be presented with GCP Dashboard page, Go to the far right corner of the page and click Activate Cloud Shell. NOTE: If you have just sign up for a new google cloud account, it may take some minutes, before Activate Cloud Shell is enable. A terminal window will open on the same page. It will take 8~10 minutes for app engine to deploy your docker based app and provide you the app URL.